Whenever it comes to Japan, what comes to mind is almost always loads of traditional Japanese food like ramen, sushi, donburi, wagashi, tonkatsu etc… Having gone to Tokyo quite a few times now, we were in the “been there done that” mood and were keen to try out other things Tokyo is probably lesser known for or associated with. Then again, Japanese being Japanese, they do almost everything with fervent dedication and spot-on perfection, owing to their 和魂 ‘yamato spirit‘. Sounds damn cliché I know! We went to Bounce Baker Burgers when we visited Tokyo Midtown for lunch just the other day, something lesser 和風 “wafu” on would think but in actuality, 洋食”yoshoku” and other external food influences have already become part and parcel of Japanese culinary culture as well, be it 中華 “chuwa” or french, italian or the regular “americano”. And for the records, the burgers were absolutely delicious! 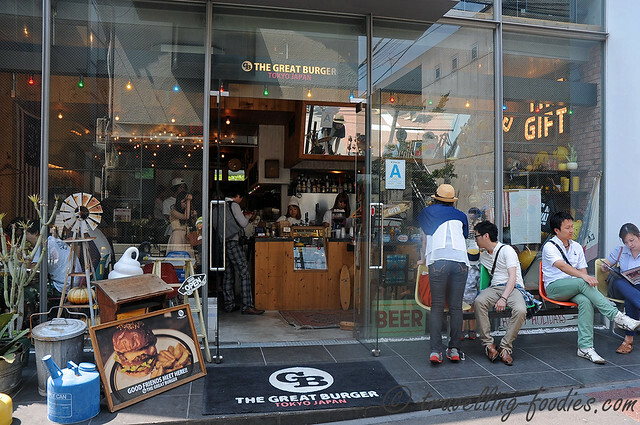 So here we are, to track down “Great Burger” yet another popular burger deli located in the hearts of Omotesando.